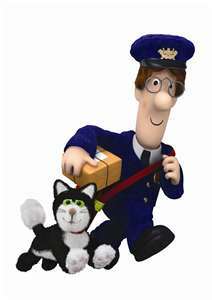 ThatGalJenna: Mr. Postman please bring me some...packages! Mr. Postman please bring me some...packages! I am overjoyed about the fact that the delivery of my Birthday Bounty via Hot Topic will in fact be delivered today. This pre-delivery post is more or less to say...I will without a doubt be sharing with you all...my enjoyment of the purchases by posting possibly embarassing, entertaining, or at the very least amusing photos of my finds. i love to receive the good mail! hope you'll be posting what you've got in the mail in next post. How very exciting to know you are getting birthday loot instead of dreaded bills.